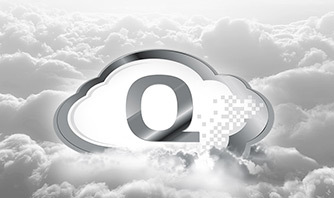 Q-Cloud Archive is designed to support flexible and short-term storage requirements for security and law enforcement professionals that want to access additional capacity on a moment’s notice without capital expenditure or infrastructure deployments. It supports immediate access to video with no bandwidth restrictions. Whether you’re taking on new body camera video, CCTV infrastructure is growing faster than expected, or building out a new security initiative, StorNext Q-Cloud Archive provides infrastructure flexibility that eliminates capital expenditure, data centre space and cooling, and admin costs. 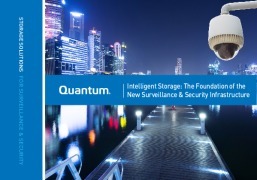 Video Surveillance is among the most challenging workflows for any storage system. Whenall the variables are taken into account—number of cameras, type of video format, framerate, video compression, and length of the recordings—the amount of data can becomeunwieldy very quickly. Factor in the number of days the content must be retained and youhave a massive data management problem on your hands. Finally, add the need to manageand search through thousands, if not hundreds of thousands, of files for retrieval, and youhave a use case that can bring most storage systems to their knees. Breaches happen. Stealing credit card and personal identity information is big business today.We’ve all seen headlines about data breaches at Target, Home Depot, and JPMorgan Chase & Co.With JPMorgan Chase, personal information for 83 million households and small businesses wasstolen, including names, addresses, phone numbers, and emails. The theft of personal info like thiscan be very damaging, not to mention upsetting to millions of individuals. 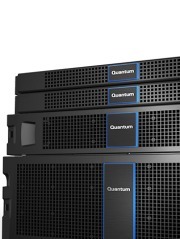 Combine “Flight Data Recorder” for your Network with High-speed Scale-out Storage. 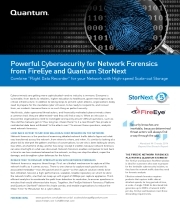 Cybercriminals are getting more sophisticated—and no industry is immune. Everyone isvulnerable, from banks to retailers, higher education to healthcare, government agencies tocritical infrastructure. 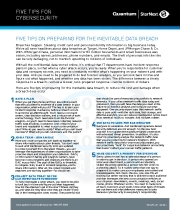 In addition to taking steps to prevent cyber attacks, organizations todayneed to prepare for the inevitable cyber intrusion, to be ready to respond to, and recoverfrom, an incident...because there is no such thing as perfect security.